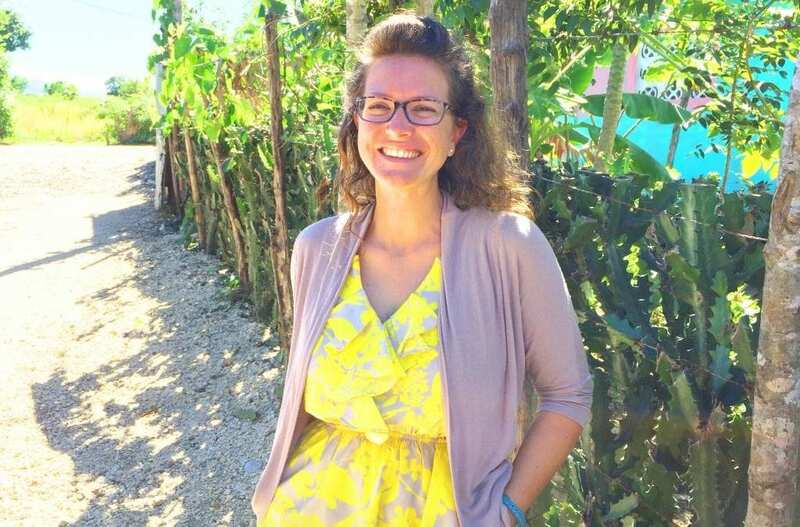 Through her own experiences, Liz Clarke is able to recognize God’s transformative power at work in the School of Light of Sylvain, Haiti. As the story of a timid little girl unfolds, Liz points out God’s faithfulness in the smallest moments to complete the good work within His children. Keep reading to hear the latest story of transformation! As long as I can remember I’ve believed in God. As well, I chose to accept Jesus Christ as my Savior at the age of 12. But simply knowing and believing Jesus exists or even acknowledging a need for him as Savior is not a free pass from pain, suffering, or trial. We will all experience the brokenness of this world in one way or another yet we each have a choice as to how we will respond. We can choose to live and respond as we please, or to live and respond as God demands. For most of my life I didn’t want to give up that control. My choice. My rights. Ironic, how pride leads us to believe we’re so much more than we are. After all those year of living in darkness, I now see how it was really fear that controlled my decisions. Not me at all. And all those choices made in fear lead only to weariness, dissatisfaction, and regret. It happened in an instant as I fell to my knees in the bathroom of my hundred year old apartment in downtown Pella. Tears of deep conviction mixed with incomprehensible joy streamed down my face. What was happening to me? For the first time I recognized that it’s not about me. It’s about the blood of Jesus. I understood for the first time that, with its covering, I am free! Free to approach the Throne of Grace. Free to be made new. I am no longer a slave to the things I have done or the things I have left undone. I am free to walk in the same power as Christ did when he walked on this earth! I was Transformed. And I’ve never been the same since. 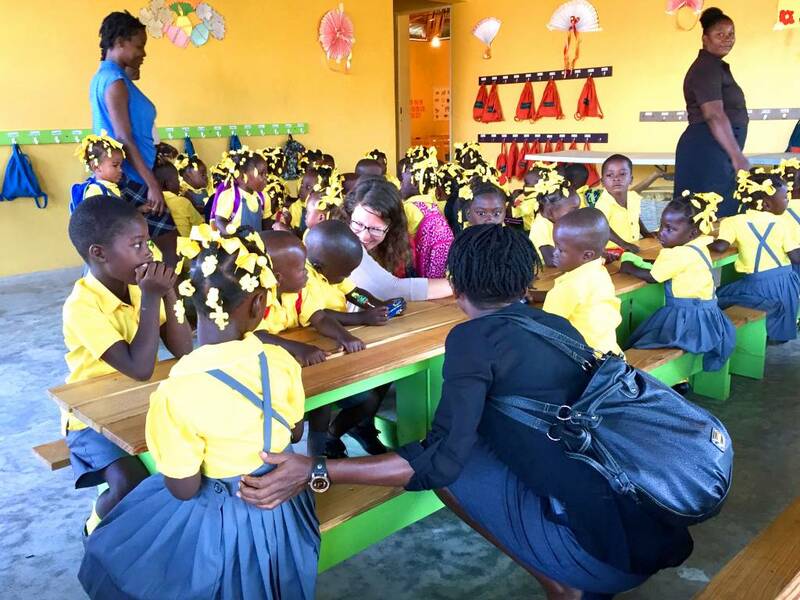 The third season of the Many Hands for Haiti School of Light Preschool had it’s first day on September 3rd, 2018. It was a joyous morning as the students, led by their parents, were greeted by their teachers and scurried to hang up their backpacks. The older students banned together, talking and giggling with their old friends while they awaited the opening ceremonies. All the students glowed with excitement in their sleek, bright yellow uniforms and their shiny black shoes. And in true preschool fashion, their little fists were full of crumbling cookies and their mouths dripped with sucker drool. Moms and dads began to leave with minimal struggle and all the children gathered in the gazebo singing a new song declaring vacation was over and the new school year had come, horray, horray! Heart-wrenching compassion for my crying babies coupled with an overwhelming urge to LOL. I knew I wouldn’t be able to keep it together, so I left it to the teachers to work their magic. Cut to fifteen days later. The school day was over and I told a mother waiting at the gate that I would go to fetch her child. 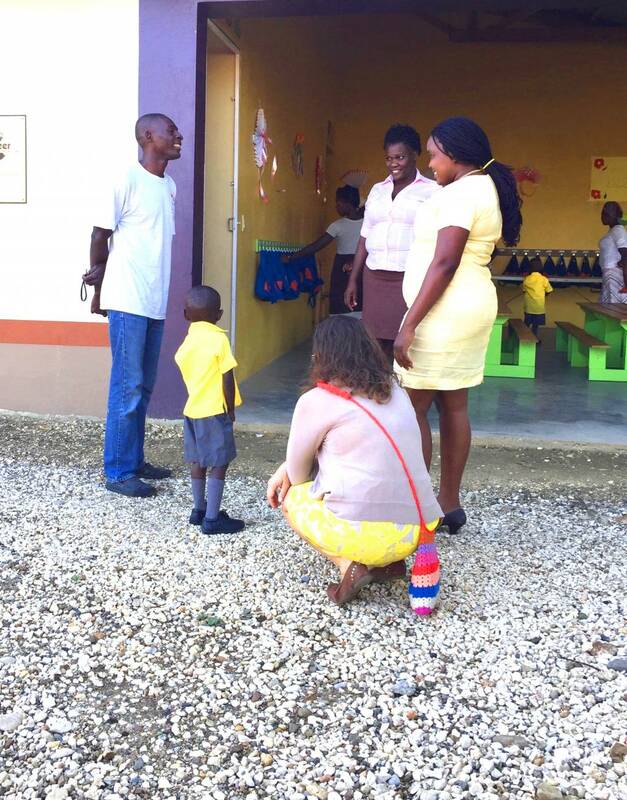 Her child is a first level PS1 student and has been in the Many Hand’s Love in Action programs since she was 10 months old. So, it’s safe to say I have known this child most of her entire life. And for most of her entire life she has been scared of me. Every time our eyes would meet, her face would immediately hide into her mothers breast. Sometimes she would even shriek in terror. Up to this moment, nothing in our relationship had changed. So when I found her on the school porch and told her I would be walking her to the gate where her mother was waiting, I wasn’t surprised in the least when she quietly told me “no”, then immediately covered her eyes with the crook of her elbow and refused to get up. I gently tried to coax her, which made her start to whimper. I walked away and hid myself from her gaze. I watched from my hiding place as she eventually uncovered her face, looked around to make sure I had gone, stood up and began to walk herself to the gate. I followed her with her forgotten backpack and was enough of a ways behind that she had no idea I was following her. When she got to the gate, her mother must have asked about her missing backpack because she turned around and started heading for the school only to find me there with her bag! Panic! I was on one side of the gate, she on the other. I held out the pack for her to take through the gate slits but alas, rejection. Then, she started to tease me. She came close with her hand out as if she were going to take the bag only to playfully hit at it and run away. She did this a few times when out of nowhere…she walked around to my side of the gate, reached out and took my hand, leading me back to the other side of the gate and began parading me around in front of everyone as if to say, “Look at my new friend!” She started talkig to me in her shy quiet voice and I just laughed because I couldn’t understand what she was saying. We even danced a bit. And from that day forward, we’ve been good friends. Stories like this are taking place almost daily at the School of Light. Children who were once shy, quiet, and even afraid, are bursting out of their shells! 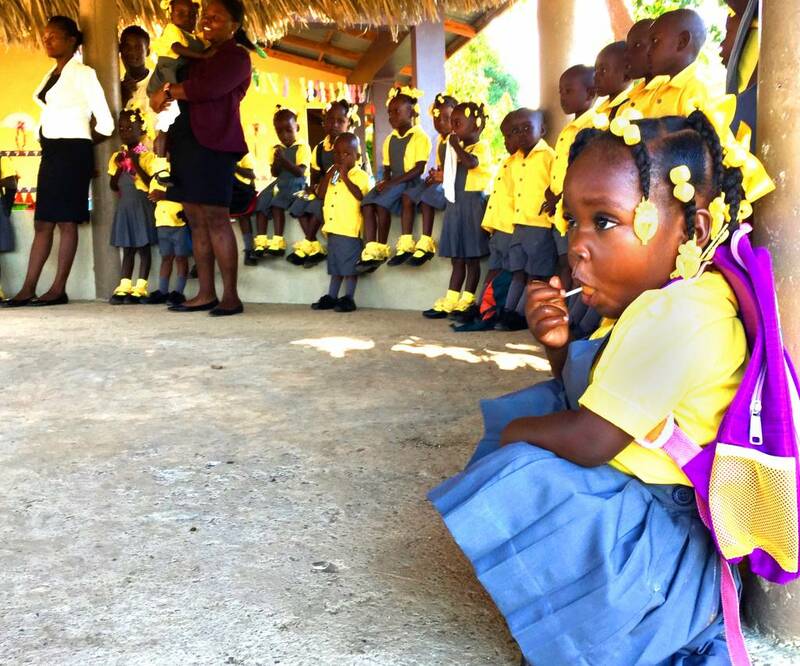 They follow the lessons with confidence, singing and reciting their colors and numbers at the top of their little lungs. *insert smiley face emoji* And as week seven of the school year draws to a close, there are rarely tears to be heard, save for one consistently fussy child and the occasional scraped knee. Friends, this is real life transformation! 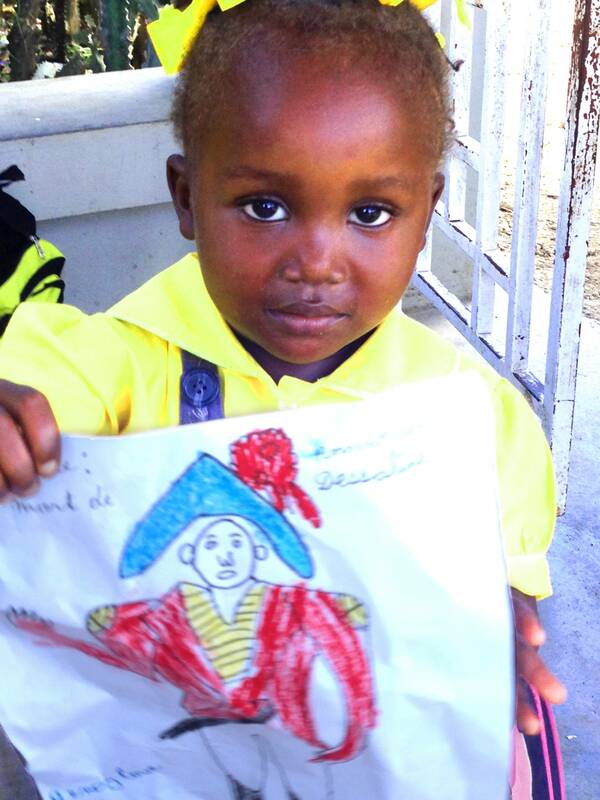 Unlike my personal restoration experience that seemed instantaneous, these children’s lives are being transformed throughout the minutes and hours that make up the every days in the Many Hands for Haiti Love in Action programs. And they don’t even know it. To some of you this may seem obvious and even minuscule, but let’s not take for granted the power of consistancy. As the years pass and Many Hands continues to hold the vision of Transforming Together, these children in the First Thousand Days and School of Light programs, along with their mothers, fathers, brothers, sisters, neighbors, and friends will NOT be the same people that they are today! And neither will we! Let us pray that the changes will be for good and that we would all grow more into the likeness of the image of Christ. Transformation is happening! In His timing. And His timing is always perfect. God is alive and active and He hears our prayers, so please continue to pray with us. Continue to thank God in Praise for who He is, what He has done, and what He will do! 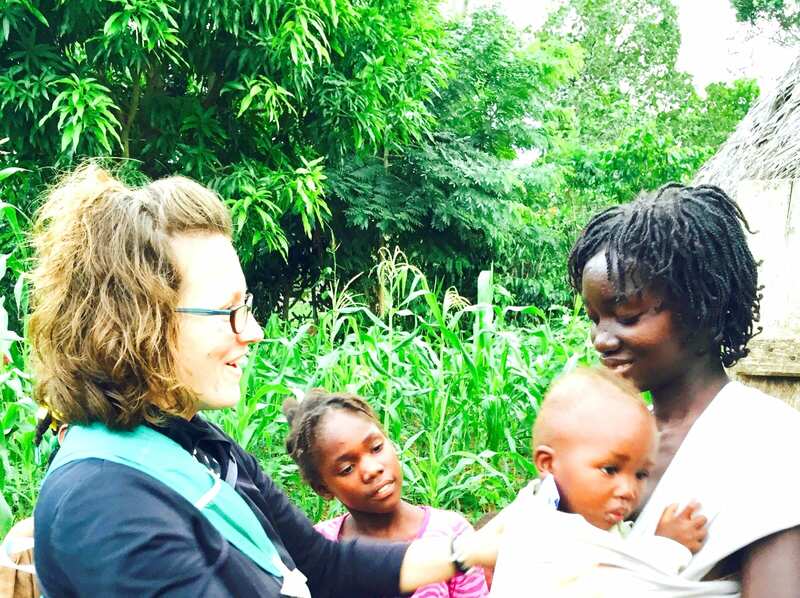 Pray for the minds and bodies of the little ones in the First Thousand Days and School of Light. Please pray also for the work to continue according to His will and for His glory! Our hope is for these little ones and their families to learn the real truth about Jesus and his abundant life. Peace and the Grace of our Lord Jesus Christ be with you, my brothers and sisters everywhere. May your hearts be encouraged today. Keep fighting the good fight! Liz, such a moving story of how God is using you and Many Hands! Praying for all of you, God is good! Liz, you are a heart wrapped in a smile. Your life and work is an inspiration to me. Thanks for everything you do..
Keep trusting and leaning in, God is doing amazing things through you. We will continue to pray for all of you. See you next summer!